Fine quality 100g dark chocolate bar in a nice matt black rigid box. 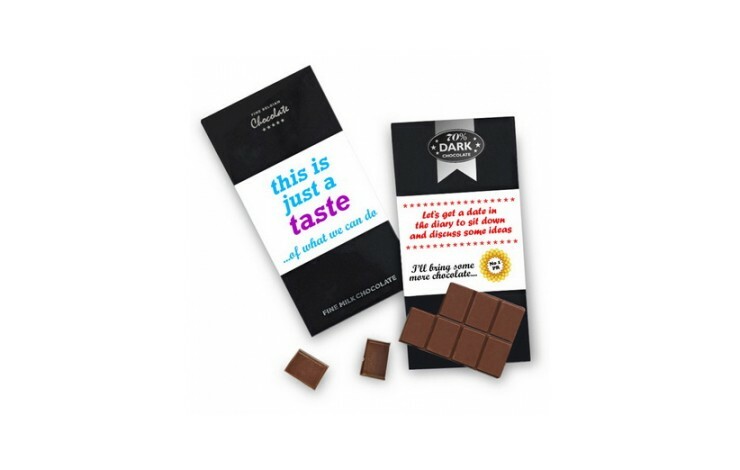 Branded with your own unique design on front and back with a digitally printed wrapper. 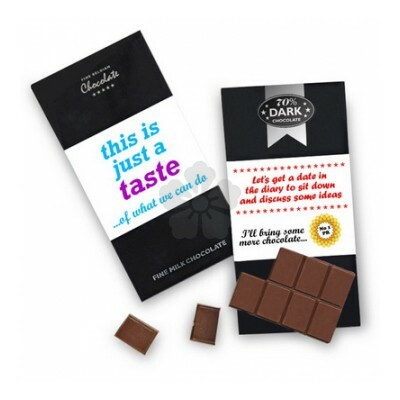 Contains minimum of 70% Cocoa solids that will be enjoyed by dark chocolate enthusiasts.